Please follow the steps to choose the right sim card based on your preferred track mode. If you have any question, always visit the Tech Support Forum first, you can find many useful information there. Or, submit a ticket at contact us, your question will be answered with in 12 business hours. You can also visit "how the gps tracker works forum" for more detailed information about the gps tracker. GPS tracker is just like a cellphone, if the signal is out of coverage, then it is unreachable, it does not mean that the GPS tracker is defective. You TEXT "smslink123456" (in which "123456" is the default password ) to the tracker and the tracker will response a google map link to your cellphone, click the map link and you will know where the tracker is. In this mode, the GPS tracker standby time is the longest. You can live-track the tracker at gps.ablegrid.com or use Android/iOS App. The tracker's standby time totally depends on how often the location uploads, for example, uploading the location to our server every 20 seconds will consume more energy than uploading the location every 1 minitue. We strongly suggest use our ABLEGRID GPS-Tracker-Only sim card. 1. It's much cheaper than buying from traditional telecom operators such as AT&T or T-Mobile. 2. Global availability / option. 3. Prepaid, no contract, just buy the plan you want, not auto-renewal, no monthly bill. 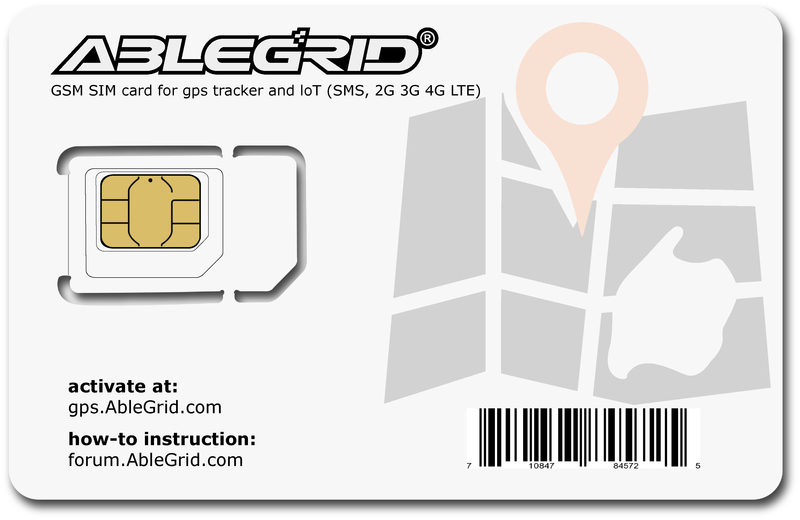 Ablegrid sim card included in the gps tracker's package for some models, it is FREE. If you did not find sim card in the tracker's package, click here to buy. 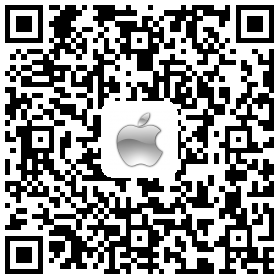 Visit: gps.ablegrid.com, follow the instruction, and choose the sim card plan. Initial Setup, please read the manual comes with the packages, based on the model, some features may vary. For some of AbleGrid TK Models, the sim card is already intergrated, if you want to use it, all you need to do is to active and choose the card plan at gps.ablegrid.com. 2. Turn on the GPS tracker. 3. GPS tracker need to register with the sim card phone network, so it takes upto 10 minutes (especially international sim card for the first time use, and at peak time). please also refer to the following TK102 step-by-step video. How to Use Data Mode(Live-tracking)? you need TEXT the command to switch the track mode from SMS to Data Live Mode, and vise versa . Text: begin123456 to the tracker's sim card phone number, it should return "begin OK"
Text: sms123456 to the tracker's sim card phone number, it should return "sms OK"
now, the tracker is at SMS mode, and it will stay at the SMS mode untill you change it to Data Live Mode. * the command "sms123456", in which "123456" is the default password, you may change it by yourself later. Text "beigin123456" to you GPS tracker, will get a response "begin ok" , in which "begin" is command, "123456" is password, and there is no parameter. Now you can call your GPS tracker, ring twice, hang up, you will get google map link to your cellphone. for updated version, you can also Text : smslink123456 to the gps tracker, and get the google map link, instead of making a phone call. * please refer to the manual comes with your gps tracker, if there is "smslink" command, it is the newer version tracker. if the GPS tracker is out of phone company coverage( for example, out of T-Mobile’s network coverage ), it will not response until it's back to the coverage area again. Register an account at gps.ablegrid.com when you create a new account, a verification email will be sent to you, please check both inbox and spam, sometime, it goes to spam folder. And log into your account. Add the gps tracker to your account. please note, always add the SN or ID number start with "08" into the account as IMEI number in USA. if you add TK207 spy tracker, please replace the imei number first four digits as "0"
for example, if your TK207 tracker imei is "863835026220555", please replace "8638" to "0" and the imei will be "035026220555" and input into the account. so now, just wait 10 minutes, you will see the gps tracker signal icon became yellow and then green in your website tracking platform. congratulations! you just added the tracker into the account successfully! 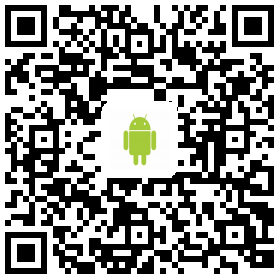 scan the following app 2D code to install the ablegrid app into your mobile phone, and use the same username and password, which you used to login at gps.ablegrid.com web platform. once logged in, please setup the time zone. now you can setup the geo-fence features by few clicks. * "123456" is the default password, if you changed your password, please replace it with your own password. Install iOS or Android App if you want to track by mobile phone. With our self-serve web tool, it's easier than ever! © AbleGrid.Com, All Rights Reserved.